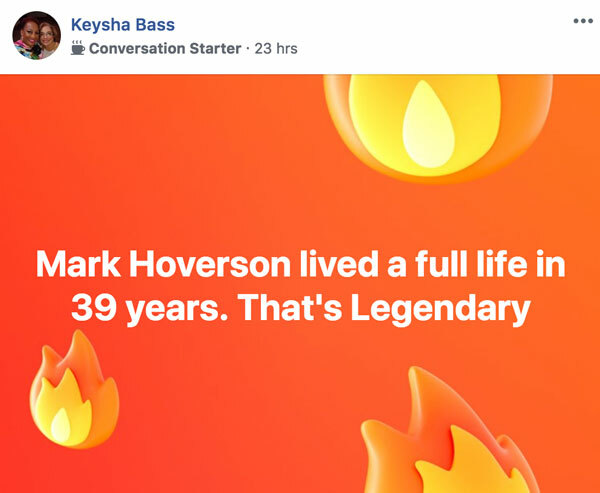 Keysha Bass gave an amazing one sentence tribute to the great Mark Hoverson inside the MLSP community this week. One sentence that says so much truth!! Mark Hoverson changed more lives with his training, and with his outlook life and business than we can ever count. He'll continue to change lives as his legacy lives on, and MLSP was proud to have been able to be touched by his presence! A true legend who will be greatly missed, but whose legacy will live on forever! R.I.P. to the great Mark Hoverson! One of the greatest success stories of all time! Look at that! Lisa Thompson is smashing it everyday. 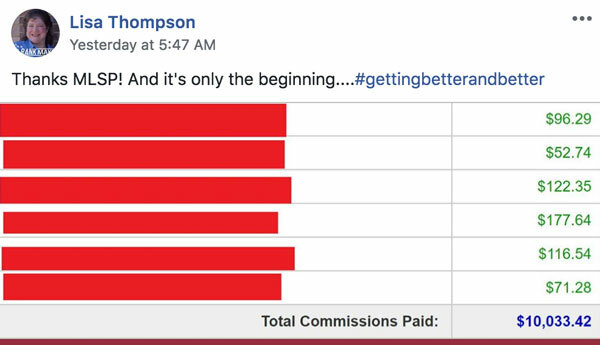 She posted her commissions paid to her by MLSP so far. That's just MLSP. She's also got tons of other stuff going on, like helping people manage their diabetes. Lisa is serving her community, and it's paying off! 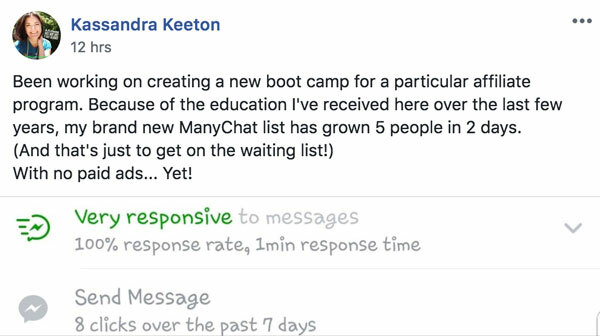 Kassandra Keeton has been working on a new boot camp for a particular affiliate program she's promoting. And she's already getting people on the Wait List in just 2 days with no paid ads yet! BOOM! 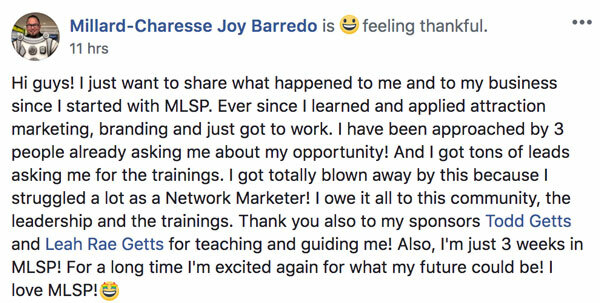 That's what happens when you learn how to prospect on Facebook the right way! Reggie Pegues is doing it! 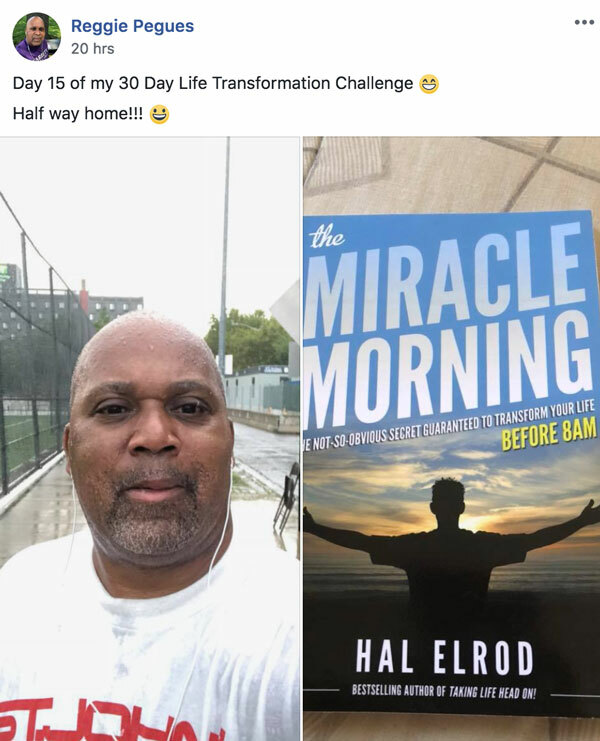 He's doing Hal Elrod's Miracle Morning Life Transformation. He may be half way through the challenge, but if he's like most people…this will end up being a lifelong habit that serves him forever! Hal was a keynote speaker at our Live the Dream event earlier this month, and there are surely tons of people changing their lives everyday at this point. Judy S. Jones is following the training and getting results. It's all about action and Judy is apparently one heck of an action taker. If Emily Kolar keeps doing what she's doing, she's got a great chance of fulfilling the promise she made to Diane Hochman to walk across the stage as an L3 leader (or more) next year at Live the Dream! We cannot wait to see it! Keep up the amazing work Emily! 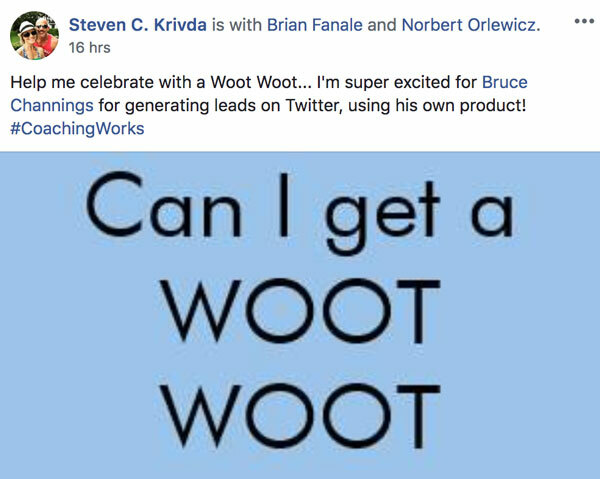 Bruce Channings got a Woot Woot shoutout from Steve Krivda this week! He's getting leads on Twitter for his products and making us and Mr. Krivda proud! Looks like Steve Krivda's coaching works again! Great job Bruce! Woot woot!! Audra Annika James was in Austin for Live the Dream earlier this month. She came back with the confidence and worthiness that she needed to create her own first course! Look at that! Millard-Charesse Joy Barredo is seeing the direct effect of attraction marketing at work. Congrats and great job taking action!! Esther Walker is crushing it with her marketing and Manychat!! And those weren't the only appointments she got. 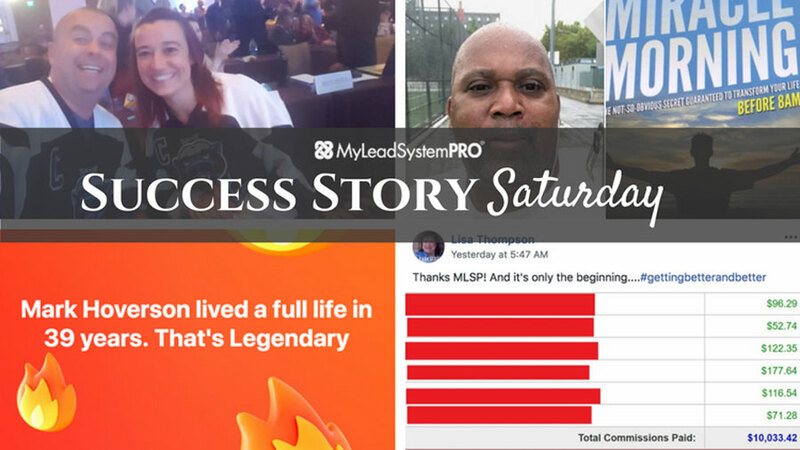 Check Out All the Actual Success Story Posts from the Private MLSP Community Below! 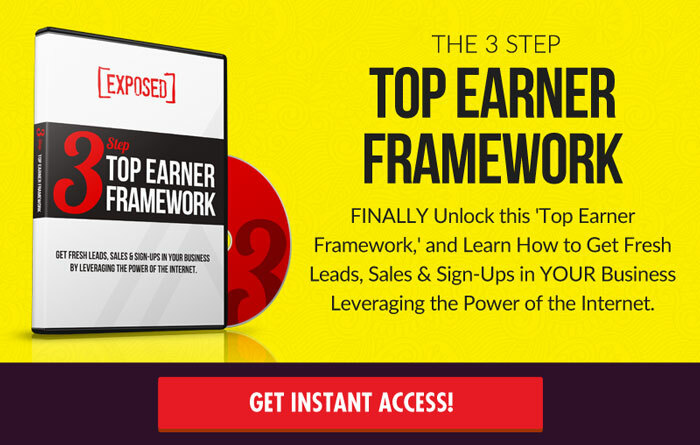 The Proven Formula to Create Passive Income Online – How to Start from Scratch with No List & No Audience!